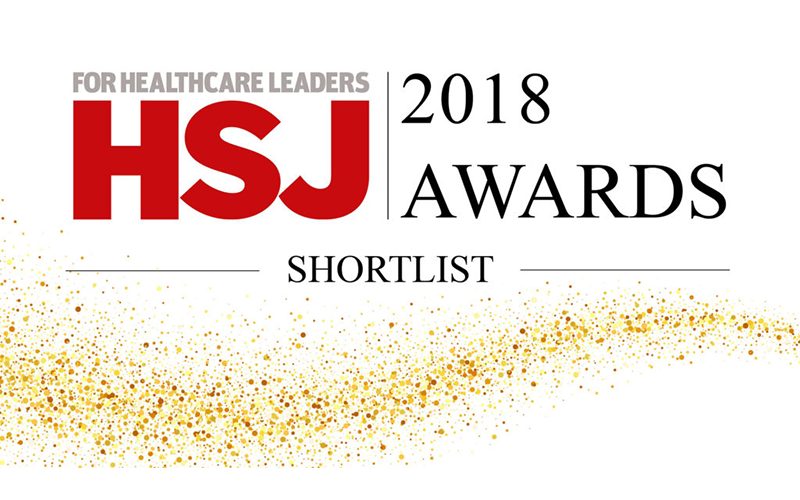 Two Transforming Cancer Services Team (TCST) for London projects have been shortlisted for the HSJ Awards 2018. The Pan London Suspected Cancer Referral Form project has been shortlisted in the ‘Optimising Clinical Practice and Systems’ category and a pilot project for primary care prostate follow up of stable prostate patients has been shortlisted in the ‘Redesigning Primary Care’ category. In 2016, the TCST programme for London began work to standardise the way primary care clinicians refer patients into secondary care on a suspected cancer pathway. This was the first project of its kind where a set of referral criteria based on NICE NG12 guidelines were discussed and supported by all primary and secondary care clinicians and subsequently implemented across London’s 32 Clinical Commissioning Groups (CCG), covering population of £8.6 million people. The outcome of the project was the development of a new Pan London Suspected Cancer Referral Form. The referral forms have standardised the process electronically, to make it easier for primary care referrers to refer suspected cancer referrals into primary care, there has also been a suite of educational support materials and patient information leaflets developed. The patient information leaflets were translated into ten of the most commonly spoken languages in London and endorsed by patient groups. Since launching the project in 2016, at least 86% of all referrals in London are now being referred via the Pan London Suspected Cancer Referral Forms. This number is intended to rise with scheduled communications and continued support from TCST charity partners, which include Cancer Research UK and Macmillan Cancer Support, to embed the forms across the system. Beginning as a small pilot in Croydon in 2014, the Transforming Cancer Services Team (TCST) for London has collaboratively redesigned how patients are safely transferred to their GP and followed-up in the community rather than in outpatient clinics. The London Cancer Commissioning Board and the London wide Local Medical Committee endorsed the model in 2016 and all five London Sustainability and Transformation Partnerships (STPs) areas are now committed to rolling out the redesigned pathway as part of their sub-regional cancer plans. As such, the pathway is being implemented across London and bordering CCGs. The new model has been published in peer reviewed journals, discussed in national webinars and included as a poster presentation at the Multinational Association of Supportive Cancer Care, where it received interest on an international level. In addition to the pilot scheme, patient letters have been reviewed and developed with the South East Prostate Support Group and the Pan London Patient Advisory Board and have since been shared nationally. To find out further information about both projects listed above, please contact the Transforming Cancer Services Team at: england.tcstlondon@nhs.net. See the full shortlist on the HSJ awards website. The HSJ Awards 2018 will take place on 21st November at InterContinental O2.